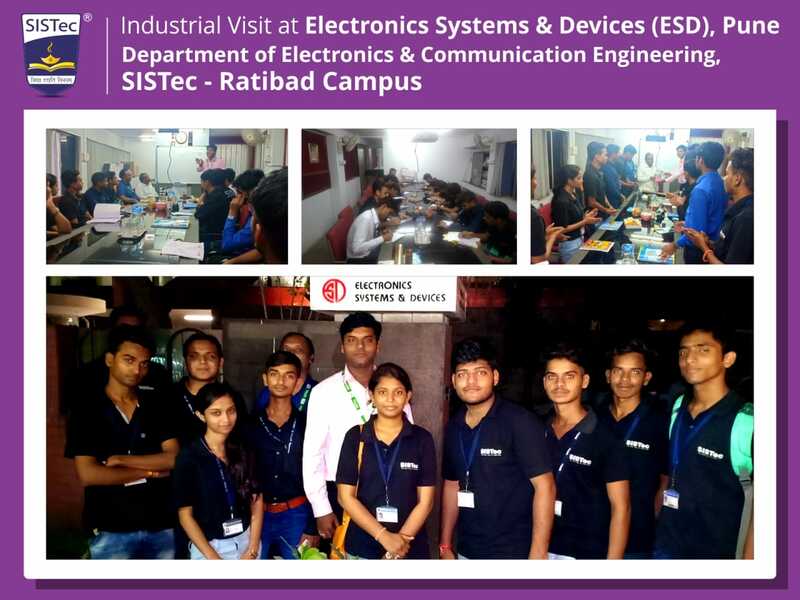 Students of ECE, 2nd and 3rd-year SISTec-Ratibad, have visited Electronics Systems & Devices (ESD), Pune on 27/09/2018. 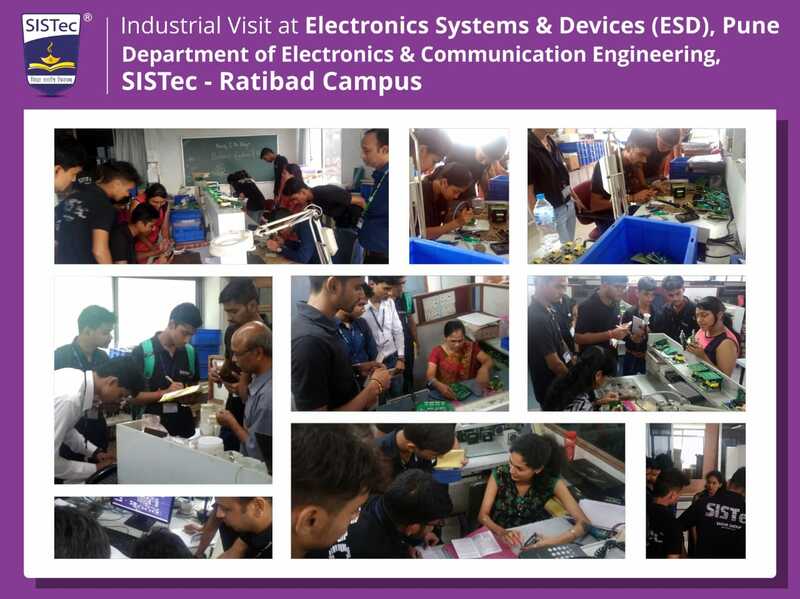 ESD is known for its indigenously designed, developed and manufactured high-quality products which include Temperature Sensors, GPRS & Cloud Data Loggers, Indicators, Controllers, Scanners, Data Acquisition Systems (DAS), Alarm Annunciators & Hooters, Transmitters, Simulators, Unique Application Products (UAPs) & Automation Panels, Wireless Solutions. Students experienced the Hand on practice with all working electronic instruments and devices. They were very excited and disciplined during the whole visit. With the help of this visit, students got better practical exposures to the theory which they are studying. Students got the practical knowledge about the basic call and data procedures through different telephone exchanges.